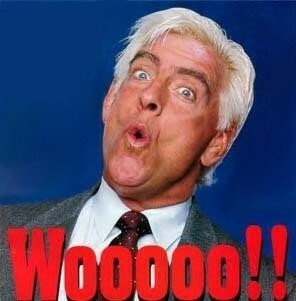 National Handicapping Championship winner Michael Beychok has channeled his inner Ric Flair in inviting TwinSpires.com players to "be the man" by "beating the man", but it could be Beychok's adversaries who say "Wooooo" by beating the champ and earning their share of $20,000. The contest starts this week with the openings of Saratoga Race Course and Del Mar Thoroughbred Club, and it continues each weekend through Sunday, September 2. To participate simply make a $10 win wager on each of designated contest races. Players who "beat the champ" each week will share 1-million TSC Elite points while those who finish in the top 50 among all players over the course of the seven-week game will share in cash prizes, and those who "beat the champ" in that group are eligible for additional bonuses. “2012 NHC Champion Michael Beychok has been on a great run since qualifying for the NHC on TwinSpires.com last November and taking the NHC’s $1-million top prize in January,” Jeremy Clemons, TwinSpires.com Vice President of Marketing, said. “We are excited to give our players a chance to showcase their skills and knowledge and reward them with lucrative prizes all for making TwinSpires.com their home to play summer’s best racing." In addition to the TwinSpires.com contest page, players and fans can interact with participants in real time on Twitter, as TwinSpires will post Beychok's selections at post time for each race using the handle @The__Champ__, and Beychok himself is on Twitter @MBeychok. Interested in qualifying for the NHC this January in Las Vegas? Visit the TwinSpires Online Handicapping Series page to learn how for as little as $10. The July 28 tournament features two seats to the NHC. I loved the splendor he demonstrated winning his initial two begins dashing and afterward extending to win the Remsen. I regularly don't care for Remsen champs next out, however, this isn't your granddad's Remsen victor who exceeded expectations in that race on account of the nine furlongs as an adolescent. This pony is simply superior to the rest.